Stokke Concrete Cutting is a Montana family owned company. Since 1989 Stokke Concrete Cutting has been providing cutting edge technology, techniques and top-notch customer service. We service Great Falls, Havre, Lewistown, Helena and the Gallatin Valley. 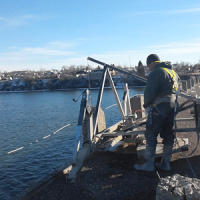 Stokke Concrete cutting has become Central Montana’s favorite concrete cutting company due to our expertise, modern equipment, providing excellent and timely service. 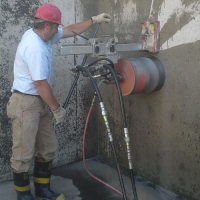 Stokke Concrete Cutting is Montana’s leading Concrete Cutting Company offering services such as Wall Sawing, Core Drilling, Flat Sawing, Asphalt Cutting, Demolition, Anchor Bolt Removal, Egress Windows, and Concrete Demolition. With our sawing equipment, we can cut anywhere up to 24 inches deep through both asphalt and concrete. Types of projects where flat sawing is useful are as follows; cutting control joints in green concrete, in gaining access to utilities in basement floors and concrete slabs, highway projects, and bridge deck and runway repairs. Generally used for creating HVAC openings, doorway openings, and Egress Window openings, our wall saws are precise and leave a square, clean, opening for the next phase of construction. They can be operated remotely and cut up to 24 inches deep without overcuts, which is useful in any job but especially large jobs like dams, bridges, municipal and waste water projects where the concrete is extremely thick and heavily reinforced. We utilize a variety of hand saws that are powered by electric, gas and hydraulic motors. Primarily used in small spaces for corners, and small openings; hand saws are useful when no other saws can be utilized. With our specialized hand saws we can flush cut and create zero over cut openings. 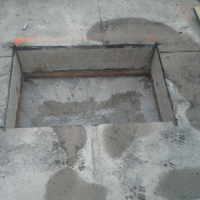 With our hand saws we can create openings through sand stone, concrete and asphalt up to 24 inches thick. 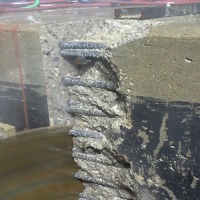 We utilize electric and hydraulic motors to drive diamond impregnated bits up to 36 inches in diameter. Services we provide include core drilling for plumbing and electrical, and anchor bolt drill-outs to give a few examples. With continuous tube-bits, we can drill deep holes. 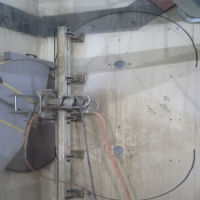 We can create holes from 36 inches to 8 feet in diameter with a circle wire saw. 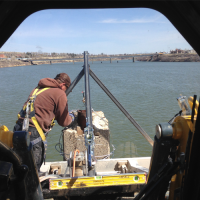 Please call us to discuss your specific core drilling needs. 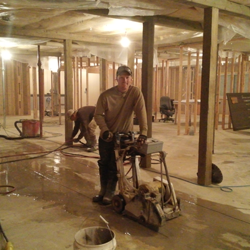 We provide concrete breaking and removal services for homeowners and commercial customers. We offer corrective grinding and provide a cost effective solution to create a smooth finish for our customers and eliminate unsafe surface bumps in drive ways, sidewalks and slabs. 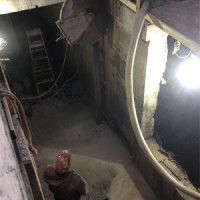 Structural demolition is a tough and often dangerous job. 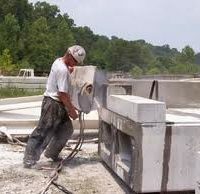 However, Stokke Concrete Cutting makes sure that we do the job quickly, professionally, and most importantly, safely. We team up with demolition contractors to provide sawing services in all aspects of demolition and selective demolition, providing a superior alternative to breaking and shearing. We use our custom fabricated curb saw to modify the curb profile allowing traffic and people to move easily over the curb. We have the ability to provide for your needs with residential and commercial driveways, parking lots, access ramps, ADA ramps and other places where curb cutting is needed. We provide dowel pinning services for highway, runway and large slab repair as well as anywhere dowel pins are required.